Infinite Art Tournament: Element of the Month: Ytterbium! OK, first things first: we're talking about Ytterbium, element number 70, the silvery-white metal -- NOT Yttrium, element number 39, the silvery-white metal. They're totally different! By definition! Like, at the atomic level! So the obvious question is, what’s up with the names? Is “Ytterb” Greek for “silvery-white metal”? No, it’s not, at least not to the best of my knowledge. But it turns out that there’s this little village in the islands around Stockholm called Ytterby. It had a little Feldspar quarry going on in the nineteenth century, at the same time that brainy Scandinavian chemists were all fired up for sniffing out new elements. It can’t possibly have more than a couple of thousand people living there, to judge from the satellite photos, but – you guessed it – both Ytterbium and Yttrium are named after it, having first been isolated from minerals found at the local quarry. 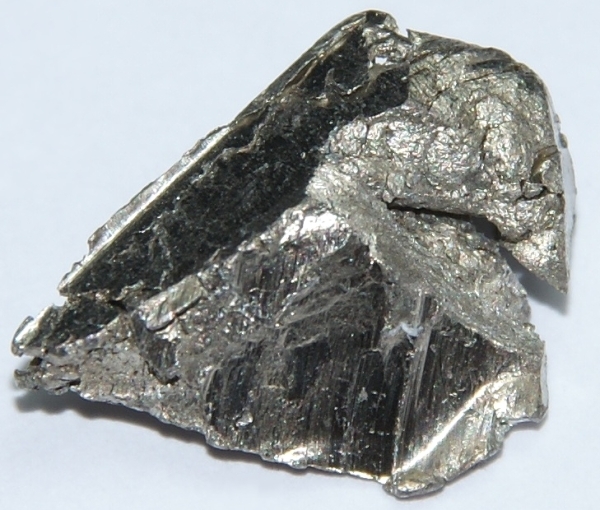 Except, you didn’t guess all of it: upcoming Elements of the month Terbium and Erbium are ALSO named after this little village. But it keeps going: Holmium, Thulium, and Gadolinium were all also discovered from the Ytterby quarry; by this time, however, scientists had despaired of further ways to truncate or transmutate the word “Ytterby.” So take that, University of California. Ytterby, Sweden, has set a very, very high bar for elemental discovery. Ytterbium – for it is Ytterbium we celebrate this month – is one of the shy elements, occurring most exuberantly in something called monazite sand, of which it is still considerably less than one-tenth of one percent. There’s not much Ytterbium around in the first place, and it’s somewhat reactive not only to acid but to oxygen and water as well. These characteristics tend to spread an element pretty thin, and in the geological blink of an eye. So, if you come across a jutting outcrop of Ytterbium in the woods, you are no longer on your home planet. Fine and good, but you are a can-do, tool-making human, and you want to know “WHAT CAN I USE IT FOR ALREADY!” Well, it appears to be mostly used as a dopant! And a dopant seems to be a substance that you add in small amounts late in the alloying process to confer subtle but significant properties to your finished product. An analogy might be, if I’m reading all this right, the guy who comes around and offers to put some fresh ground pepper on your salad. The pepper is going to be pretty insignificant by mass, but it will in theory add a certain zest that will make your salad-eating experience just so. Too, sprinkling a little Ytterbium on your stainless steel will increase its strength, and sprinkling a little Ytterbium on laser machinery will make it, um, better. I think. As far as anybody can tell, Ytterbium isn't especially toxic, but since no one really knows for sure it’s considered smart to pretend it is. Also, if you had a cloud of Ytterbium dust, it could be an explosion risk (as is of course also true of, say, flour). Frankly, you’re never going to be around enough of the stuff to give it much of a worry. This is all fine and good, but what if you sprinkle ytterbium on your salad? Consult with your physician before sprinkling ytterbium or any other lesser-known elemental metals on your salad.